A sign at the entrance of the Fayetteville Works site on N.C. 87 in Bladen County, North Carolina. But for other North Carolinians, Chemours provides benefits that all counties, especially rural ones, covet: good, high-paying jobs and tax revenues. 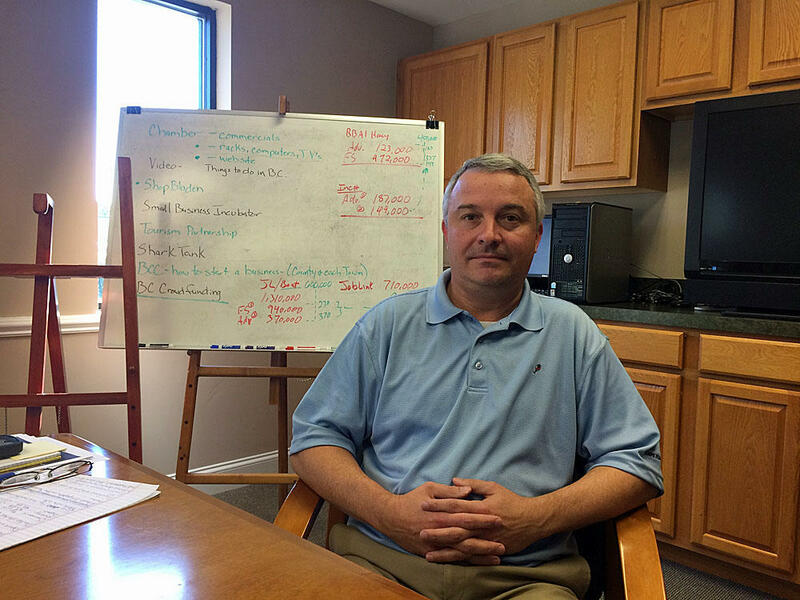 Heavily agricultural and rural Bladen County southeast of Fayetteville, has two cornerstone businesses on its tax rolls. There’s Smithfield, the world’s largest pork processing plant, and The Chemours Company’s Fayetteville Works site. “The Fayetteville Works site generates just over a million dollars of revenue for Bladen County a year,” said Chuck Heustess, executive director of Bladen County’s Economic Development Commission. Chuck Heustess, Executive Director of the Bladen County Economic Development Commission. 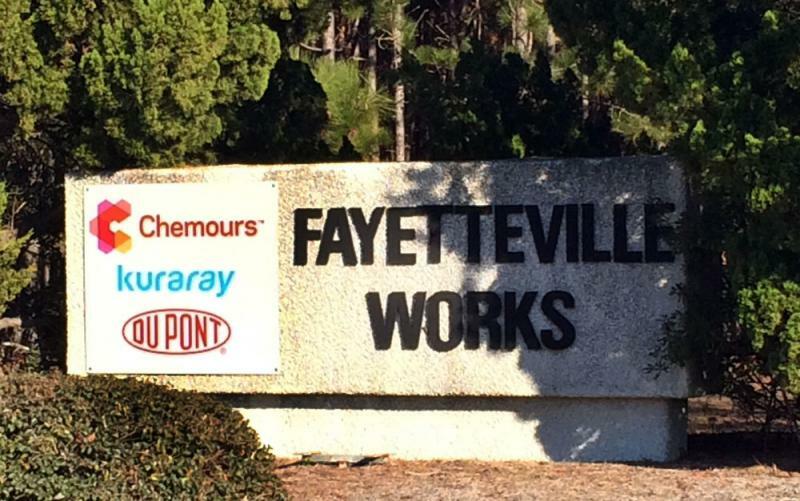 Fayetteville Works is home to Chemours and two other chemical industry tenants: Kuraray and DuPont, the company Chemours spun off from in 2015. Bladen County has an annual budget of around $57,000,000. “So, when you add up the three industries that are there on the Fayetteville Works site, they are almost 5 percent of the entire tax base of Bladen County,” said Heustess. When you add up the three industries that are there on the Fayetteville Works site, they are almost 5 percent of the entire tax base of Bladen County. -Chuck Heustess. Heustess said Chemours brings more than just decent paying jobs to Bladen and neighboring counties. He said the company pays for services -- everything from landscaping to catering. “I can’t imagine the number of services that people in Bladen, Robeson or Cumberland provide to that site, tons of construction...Since I’ve been here, they’ve invested over $200 million dollars in several projects,” said Heustess, who has worked for the county for 20 years. Chemours employees come from Bladen, Robeson and Cumberland counties, with each county providing about a third of the company’s workforce. “They’re good jobs in the sense of pay and benefits, you know, and the company has been supportive, the United Way, the fire department and local schools,” he said. The company’s environmental impact on Cumberland County, however, is still being assessed. Airborne GenX has settled in residential wells within a mile and a half of the plant. Testing currently underway has shown 121 wells have GenX levels above the state’s provisional health goal of 140 parts per trillion, most of them in Cumberland County. The state Department of Environmental Quality and Chemours are testing wells in an ever-widening circle that will continue until the edge of the contamination plume is found. Most frustrating, perhaps, for people whose water has been contaminated by GenX and other emerging contaminants, nobody can say for sure what risks the chemicals pose to humans. Animal tests have linked exposure to significantly high levels of GenX to liver, pancreatic and testicular cancer. For New Hanover County Commission Chairman Woody White, whatever economic benefits Chemours provides are canceled out by the company’s environmental impact. “If you were to interview people from Chernobyl, I’m sure they would talk about what a great employer the nuclear site was before it exploded in Russia and before it caused such devastating damage. Now, we’re not talking about anything of that scale,” White said. 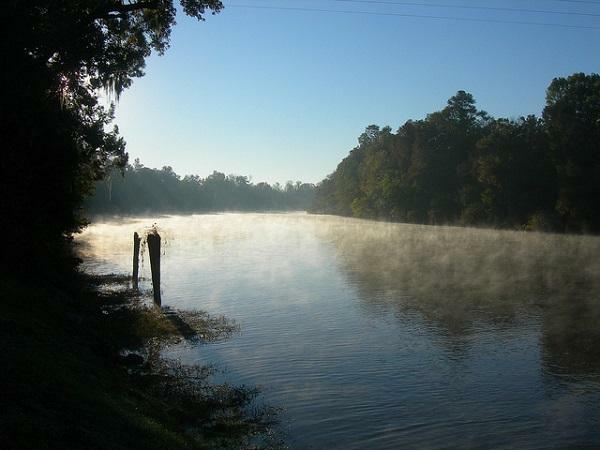 The release of GenX into the Cape Fear River for more than 30 years contaminated drinking water for more than 200,000 people in the Wilmington area, including White and his family. White, a Republican, said he believes in a diverse economy but sees things a lot differently than he did before the news about GenX surfaced in June. “Are we going to tolerate poisoning a public waterway for jobs and expansion of capital investment in a rural county? And the answer should be no, period,” he said. 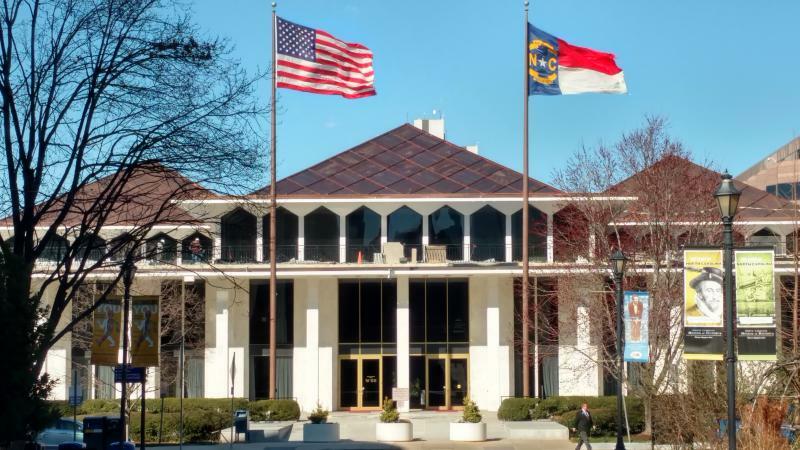 To date, North Carolina’s GOP-led Legislature has passed a bill appropriating a one-time payment of $435,000 in the 2017-18 budget to help Wilmington’s public utility authority and UNC Wilmington study emerging contaminants like GenX. However, the state senate recently refused to consider House-generated legislation that would have given the state Department of Environmental Quality more than $2 million to tighten regulation of such chemicals.